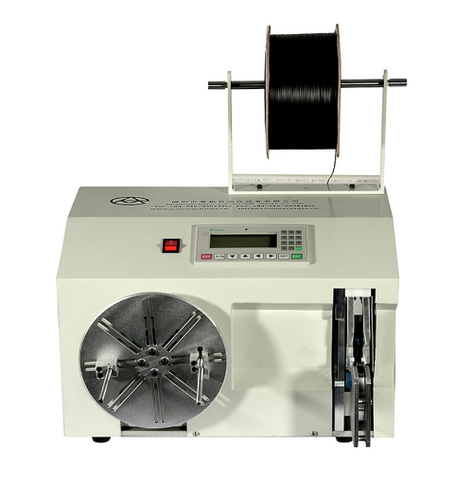 We are leading supplier of Semi-Automatic Cable Winding Machine. Our client can avail this item from us at a reasonable rate. We,ASCOMP INC was built up in 2004 at New Delhi. We import high quality, effective and efficient Equipments, Tools, Materials and Accessories used in Electronics manufacturing and Assembly, Electrical, Pharmaceutical, Telecommunication and Automobile Industries. We firmly believe in diligence, prompt & effective delivery, service and team work and believe in providing excellent after sales services with the minimum response time. Our Presence is in across the Country with offices at New Delhi, Pune, Bangalore, Chennai and Coimbatore. Our Goal is not to just sell products. We just meet the needs of the customers by providing Effective, High Quality, Innovative Produts and Services at Competitive Prices.